Brondell's FreshSpa Dual Temp bidet offers both hot and cold water wash options in an easy to install non-electric attachment. 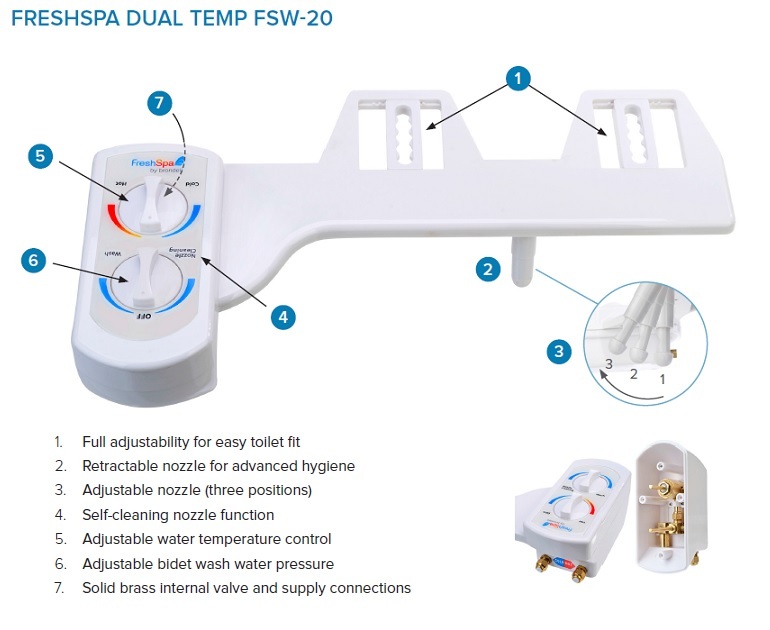 It fits under your existing toilet seat and has one hose to connect to your cold water supply and another that connects to the warm water supply under your sink for an adjustable water temperature. The FreshSpa Dual Temp attachment is a great option for people looking for an inexpensive non-electric option that still offers warm water. In addition to the adjustable water temperature, the FreshSpa Dual Temp also has adjustable water pressure for a gentler or stronger spray. The nozzle position is also adjustable with three different positions so you can choose the angle that is most comfortable for you. The wash nozzle is retractable and self-cleaning for maximum hygiene and cleanliness. 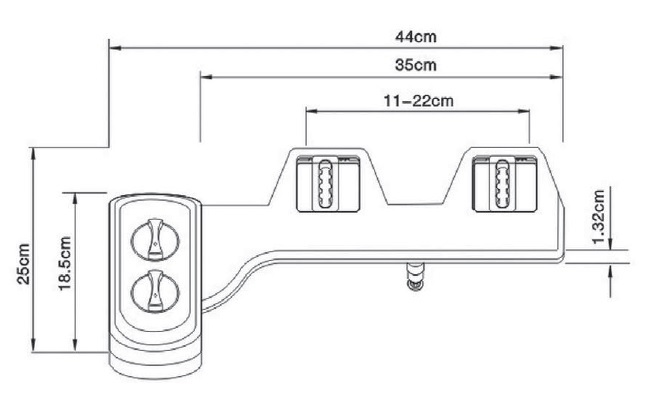 The FreshSpa Dual Temp attachment comes with all installation parts including hot and cold water hoses and T-connections, and has a one year 100% manufacturer's warranty.